There are many sports played around the world that are composed mainly of male players. This phenomenon dates back to centuries when sports were played predominantly by men. One of these sports is wrestling. People often think that wrestling is just about brute force but that is not the case at all. The strategy is also important when playing this sport. As time went on, people and society progressed. Today, wrestling is also played by women. One of the most famous female wrestlers around the world hails from Japan. She is known as Saori Yoshida. Born on the 5th of October in the year 1982, Saori Yoshida grew up to become one of the most recognized freestyle wrestlers in Japan. She began winning almost every major tournament since the year 1998. These competitions include 3 Olympic Games, 13 world championships, and 4 Asian Games. She has won so many tournaments that she has become the most decorated athlete in the history of freestyle wrestling. As of the year 2016, she had only lost thrice in international tournaments. These three losses were against Marcie Van Dusen during the Team World Cup series on the 20th of January in the year 2008, Valeria Zholobova during the World Cup on the 27th of May in the year 2012, and Helen Maroulis during the Rio Olympic Games on the 18th of August in the year 2016. With only three losses throughout her career, to say that she is an outstanding freestyle wrestler is an understatement. 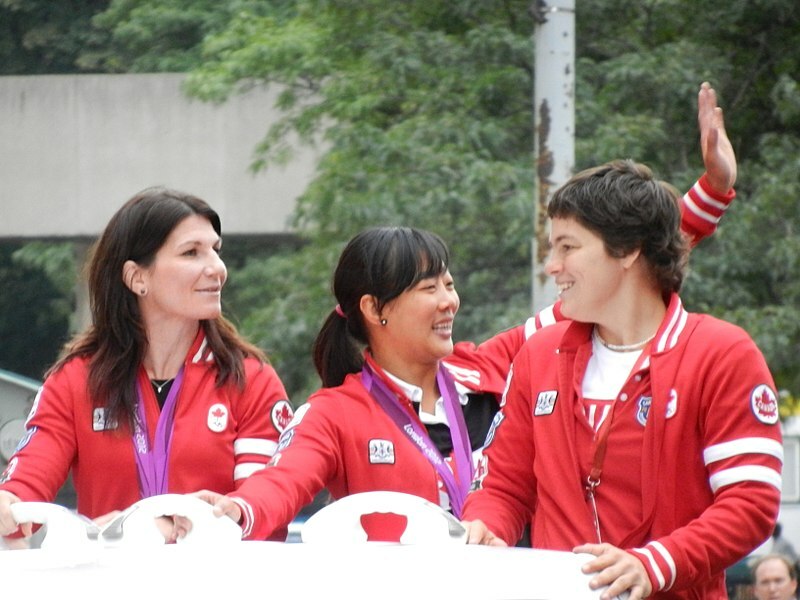 Because of her amazing run in her chosen sport and of the honor she has continually brought to her home country, Yoshida was chosen to be flagbearer for Japan in two international games. These were the Asian Games in the year 2006 and the Olympics in the year 2012. She was also given the Japanese Athlete of the Year award in the year 2007, which made her the first female wrestler to have garnered such privilege. She was also given the People’s Honor Award in the year 2012. It was in the year 1998 when Yoshida began to join international competitions as a cadet in the 52 kg category. Four years later, she was able to move up the ladder and competed as a senior in the 59 kg category. However, Yoshida lost 4 kg that same year. As a result, she continued to stay in the 55 kg division until the year 2014. To prepare for the 2016 Olympics, Yoshida made a move to the 53 kg category during the World Cup and World Championships in the year 2014. It was due to the changing of the scheme of the Olympics wherein instead of incorporating the usual 48-55-63-75 kg scheme, the management changed it to 48-53-58-63-69-75 kg. On the other hand, Yoshida went back to the 55 kg division during the Asian Games in the year 2014, just two weeks followings the World Championships. It comes as no surprise how Yoshida came to be a female wrestler. After all, she is the daughter of former national wrestling champion Eikatsu Yoshida. The man was a wrestling coach who began to train his daughter in wrestling at the young age of 3. The female Yoshida grew to follow the footsteps of her father and two older brothers. She became the face of the ALSOK security group in the year 2011. Since then, Yoshida has regularly appeared in several of the company’s advertisements. Yoshida wore a wrestling singlet during the Olympic final in the year 2008. Later that year, that same singlet was sold at an auction online for 551,000 yen, which was equivalent to US$6,123, in the month of December. The money obtained from this auction was used as a donation to the Japanese Red Cross society. Unfortunately, wrestling was among the candidates for exclusion from the Olympic Games, as announced by the International Olympic Committee in the year 2013. Upon hearing the news, Yoshida decided to play an active role in going against this decision. She did this by joining the Japanese lobbying team that eventually convinced the IOC to change their decision. As a result, wrestling was retained for the Tokyo Olympics in the year 2020. At the moment, there are two names that ring aloud when talking about Japanese female wrestlers. These two names are Saori Yoshida and Kaori Icho. Born on the 13th of June in the year 1984, Kaori Icho is also a freestyle wrestler in Japan just like Saori Yoshida. Icho also has several accolades under her belt. For one, Icho is a four-time Olympic Champion as well as a ten-time World Champion. She won gold in the year 2004, 2008, 2012, and 2016. From the year 2003 to the year 2016, she was undefeated. However, she suffered a loss against Orkhon Purevdorzh of Mongolia during the Golden Grand Prix Ivan Yarygin on the 29th of January in the year 2016. Despite this loss, Icho is undeniably an outstanding athlete. Icho is the first female athlete to win gold in individual events at four successive Olympic Games. Similar to Saori Yoshida, Icho was able given the award of People’s Honour Award by the prime minister of Japan Shinzo Abe on the 20th of October in the year 2016. Both Yoshida and Icho are considered products of the female wrestling system in Japan. This system was developed in the 1980s following the scrutiny that the international wrestling federation faced due to the issue of gender equality. Because there was not much female participation in the sport at the time, the federation was chastised for lack of gender equality. As a result, they encouraged more women to join the sport. Yoshida was introduced to the sport at the age of 3. A dojo was built by her father in the living room of their house to train her as well as her two older brothers. Even though her father was known to be strict in training them in the art of wrestling, Yoshida felt nothing short of great admiration for her father. He was her father as well as her wrestling coach and she could not be more proud of him. Sadly, her father Eikatsu Yoshida passed away in March of the year 2014. He suffered from a brain hemorrhage in his car. Yoshida continued to go to the World Cup the following week after her father’s passing. She led her home country to a World Cup title. As she did this, she carried with her a framed photo of her beloved father along with a pouch containing his ashes. On the other hand, Icho also came from a wrestling family. Both her older brother and her older sister were into the sport. Her sister, Chiharu, was actually a well-known athlete in Japan. She has won two silver medals in the Olympics, namely, in the year 2004 and in the year 2008. Both Yoshida and Icho went to Chukyo University situated close to Nagoya. Together, they trained for a number of years prior to the Olympics in the year 2004 and in the year 2008. One of the well-known matches that Yoshida became a part of was that against Tonya Verbeek. Born on the 14th of August in the year 1977, Tonya Verbeek is a female freestyle wrestler from Canada. She was the first Canadian female wrestler to take home a medal when she did so in the year 2004. She won another medal during the Summer Olympics in the year 2008 when she took home a bronze. She followed this up by taking home another silver from the Summer Olympics in London in the year 2012. Born in Grimsby, Ontario, Verbeek was introduced to wrestling in the 11th grade. After joining the sport, she was undefeated throughout her years in high school in Beamsville. Under the coaching of Marty Calder, she undergoes training at Brock University located at St. Catharines in Ontario. Yoshida faced Verbeek during the Olympics in London. At the time, Yoshida felt a lot of pressure and responsibility on her shoulder as she faced Verbeek on stage in the 55 kg final. At the same time, she felt inspired by the amount of support that she received from her fans. Going against her old rival Verbeek was a challenge that Yoshida faced head on during the games. Both opponents had been studying the other’s strategies and techniques in wrestling. To say that both parties prepared for what was to come was an understatement. Ultimately, Yoshida emerged as the winner of this match. She was able to score three points during the first round, which established a healthy lead in the game. Suffice it to say, Yoshida fought like her life depended on it. The second round went pretty much the same as the first. Nonetheless, Yoshida knew she could no longer go on the defensive with only 20 seconds remaining in the game. She did not step back and concede any points, securing her third consecutive Olympic title. It was a great match between Yoshida and Verbeek. Despite the loss, Verbeek still went home with a silver medal around her neck. Even though she was not able to bring home the gold medal, she was still able to make her home country proud. As for Yoshida, she considered the London Olympics Games to be the hardest one so far at the time. Still, she was hoping to again emerge victorious in the next season. The Rio Olympics 2016 was probably one of the most unforgettable games for Yoshida, and not for good reason. During her final match in the games, she faced her opponent Helen Maroulis of the United States. The first round proved to be a healthy start for Yoshida as she leads by one point due to the passivity of Maroulis. With 13 world titles and 3 Olympics gold medals under her belt, Yoshida is considered a living legend in the female wrestling industry. At the time, she served as the captain of the whole Japan Olympic team. There was definitely a lot of pressure on her shoulders to win gold and cap an outstanding team effort this season. After all, her team was able to win in the other weight classes. As both opponents entered the second half of the match, Yoshida was still leading in the match. Maroulis had never been able to beat Yoshida prior to this competition. If anything, she lost to Yoshida during their first match in under 69 seconds. For the past three years, Maroulis studied the varying wrestling techniques of Yoshida in order to form a counter-strategy against the latter. Maroulis’s efforts seemed have paid off, as proven during the second half of their match. She was able to pull Yoshida down with her right arm after deflecting Yoshida’s attempt to drag her down. Maroulis got behind Yoshida and scored two points for this. With Maroulis now leading in the match, Yoshida’s supporters were still anticipating a huge comeback from Yoshida. Unfortunately, Yoshida was forced out of bounds by Maroulis with only 60 seconds remaining in the game. This made Maroulis lead by 3 points. It was a huge difference and the end of the game proved to be a sad one for Yoshida and her supporters. As the captain of the team, Yoshida bore the great responsibility of leading the team and, at the time, she may have felt like she failed. Yoshida’s eyes were filled with tears of anguish as the realization of her loss set in. She felt like it was not just about losing a gold medal but also letting down her team, her family, her supporters, and her country. Nonetheless, Yoshida was about to bounce back after several months since the loss. She has again continued her training as well as teaching wrestling to the younger athletes. 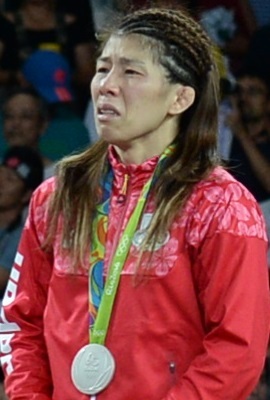 Despite this recent loss, Yoshida remains as one of the best female freestyle wrestlers in the world. Even though she had fallen a number of times, she remains steadfast and continues to stand up and get back in the game. She is an inspiration to all female athletes around the world. Kyoto, Transportation, and the Name "Karasuma"